Those of you who know me are well aware that I am not a follower of trends – of any kind! 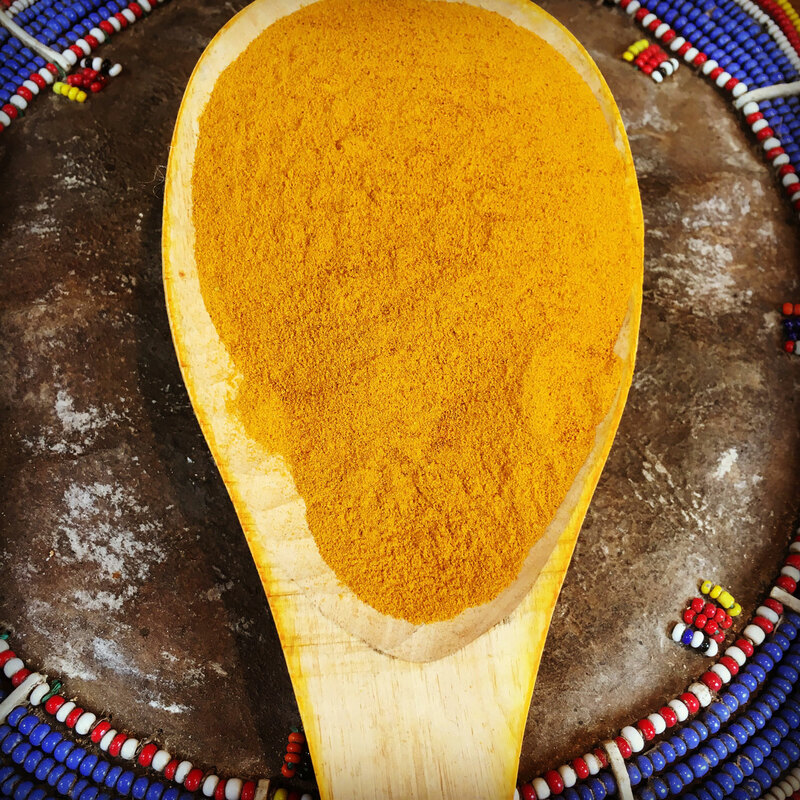 But, for once, I’m well in there as turmeric is the new trend – everyone is talking about it as if it has just been discovered! I mean, it would be a little unkind of me to burst the bubble of some young foodies and fill them in on the last 2-3,000 years. I actually had a young chef ask me recently if I knew what turmeric was and then proceeded to tell me how to use it. It made me feel as ancient as the rhizome itself! To the followers of Chinese and Ayurvedic medicine the healing and colouring powers of turmeric are not new – it has been used as a natural dye for food and cloth, an antiseptic for open wounds, a remedy for indigestion and as a cleansing agent for the blood, bladder and liver but the current research into its curative properties for strokes, dementia and Alzheimers is new and that is well worth keeping oneself informed about. If you are not well acquainted with turmeric already, a spoonful is going to be beneficial whatever way you look at it, so add it to your pickles, curries, even your baking or the mayonnaise for your sweet potato fries (another trend!). Fresh or dried, its earthy flavour is versatile for both savoury and sweet things, but don’t be too liberal with the powdered version as too much can make things taste chalky. The fresh rhizome contains essential oils and plenty of bright golden-orange juice that stains yours fingers but it is deliciously healthy grated over eggs or porridge and added to smoothies; cook it with lentils and vegetables to enjoy its unique flavour; or simmer it in boiling water with fresh ginger, honey and lemon to make a body-warming, cleansing tea packed with vitamins, minerals and gentle goodness. The dried, powdered spice has a knack of getting everywhere, staining clothes and surfaces, but it is easy to combine with other spices and can be added to almost everything you make. 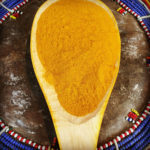 I have a couple of turmeric spoons in my kitchen, a turmeric board, and tea towels covered in stains – that’s just the way it is with turmeric. If the spice can heal and cure, it’s going to get special treatment in my kitchen!